Pre Matric Scholarship to Schedule Tribes (ST) students of Assam for the year 2018-19. (iii) Only those candidates who belong to Scheduled Tribes and who have passed the Matriculation or Higher Secondary or any higher examination of a recognized University or Board of Secondary Education, will be eligible. 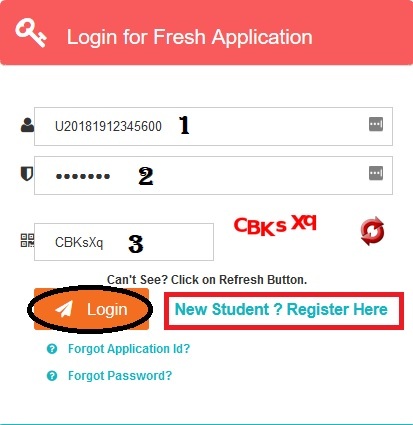 (v) Students who pursue their studies through correspondence courses are also eligible. 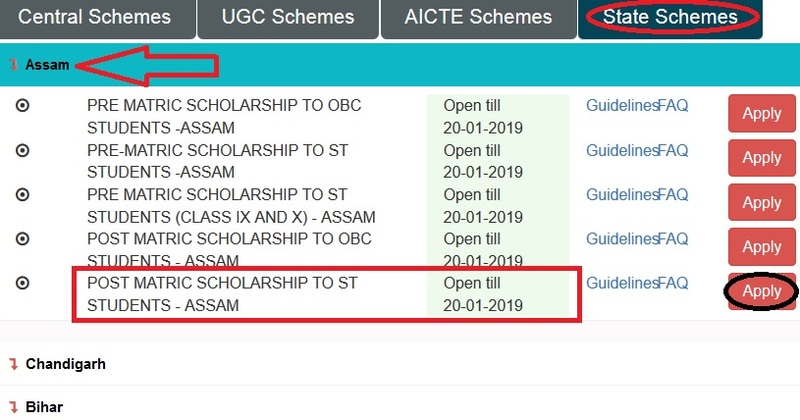 Step 2 : Then Select State Schemes tab and Click on Assam in the drop down list. (b) One copy of the passport size photograph with signatures of the student thereon. Employed parents/guardians are required to obtain income certificate from their employer and for any additional income from other sources, they would furnish declaration by way of an affidavit on non-judicial stamp paper. ** Candidates who after passing one stage of education are studying in the same stage of education in a different subject e.g. I.Sc after I.A. or B.Com after B.A. or M.A. in other subject will not be eligible. ** Students studying in Class XI of Higher Secondary Schools which have a continues school course of 12th class will not be eligible. ** Students pursuing post-graduate courses in medicine will be eligible if they are not allowed to practice during the period of their course. ** Employed students who take leave without pay for the entire duration of the course and study as full time students will be eligible for scholarships. ** All children of the same parents/guardians will be entitled to receive benefits of the scheme. ** Students who have already received coaching in any of the pre-examination training centres with financial assistance from the Government will not be eligible.